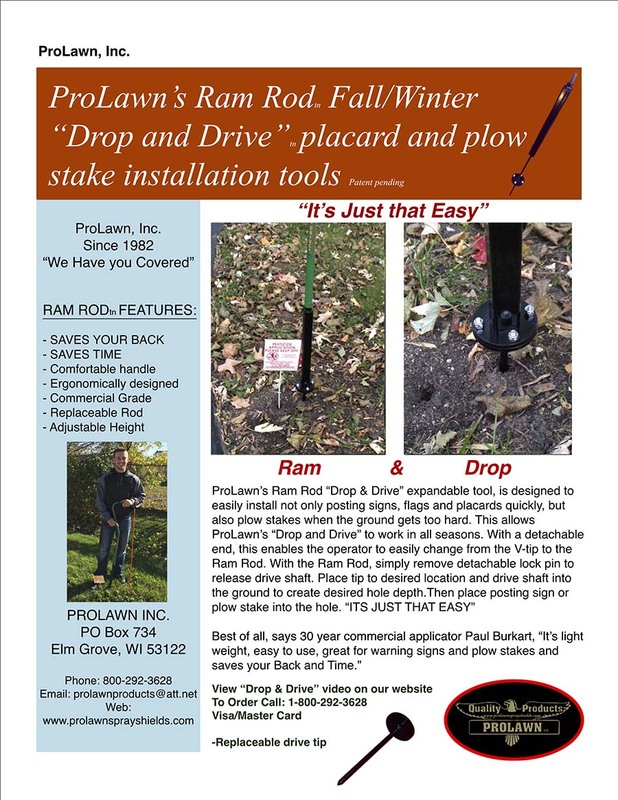 ProLawn's patented Flag Installer, "Drop & Drive" is an expandable tool that is designed to easily install posting signs, flags, plow stakes, and placards quickly for the lawn care, electric, gas, telephone, security, or any other industry where public notices need to be posted in the ground. 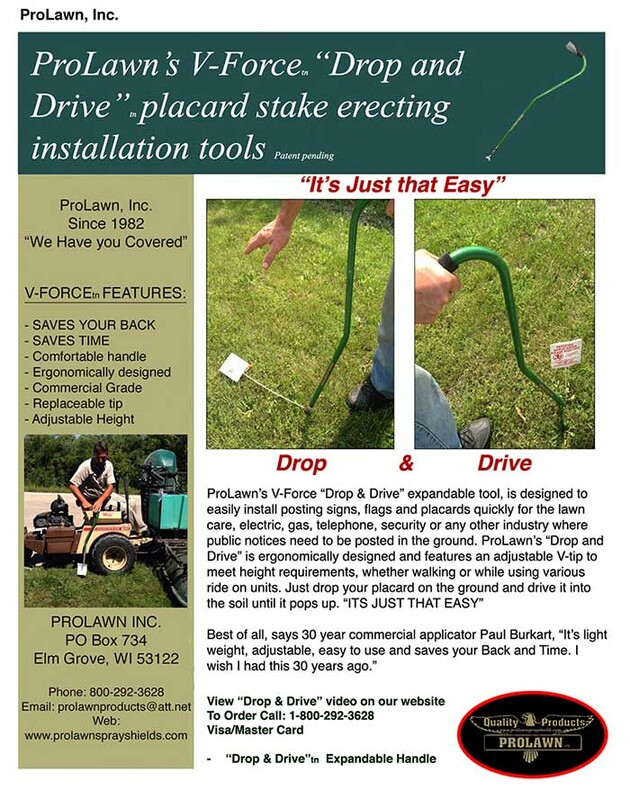 ProLawn offers a few options with the Drop & Drive, the V-tip, Ram Rod, and Soil Probe. 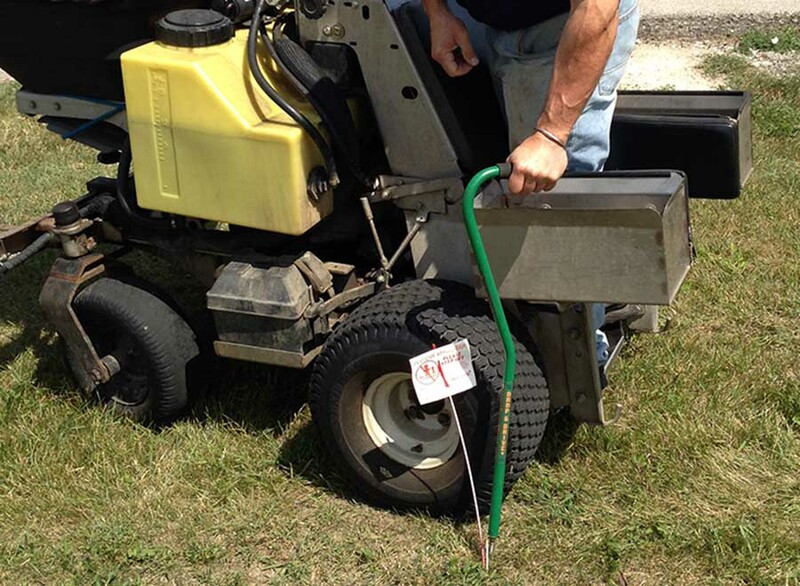 The V-tip is traditionally used in soft to moderate soil, Ram Rod combined with the V-tip is used in moderate to semi-hard soil, and the Ram Rod combined with the Soil Probe is traditionally used in hard soil conditions. 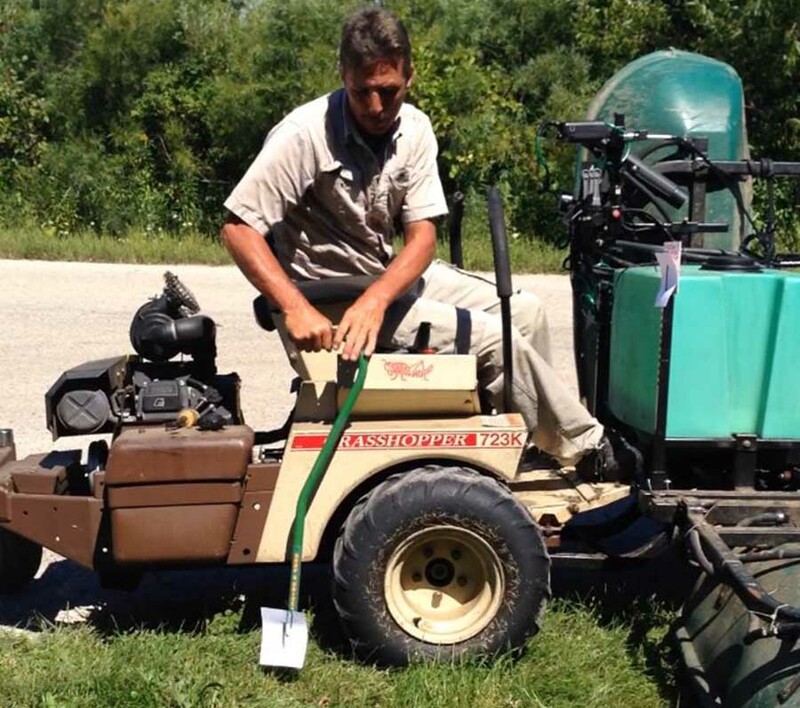 Save your back and time with ProLawn's Drop & Drive. 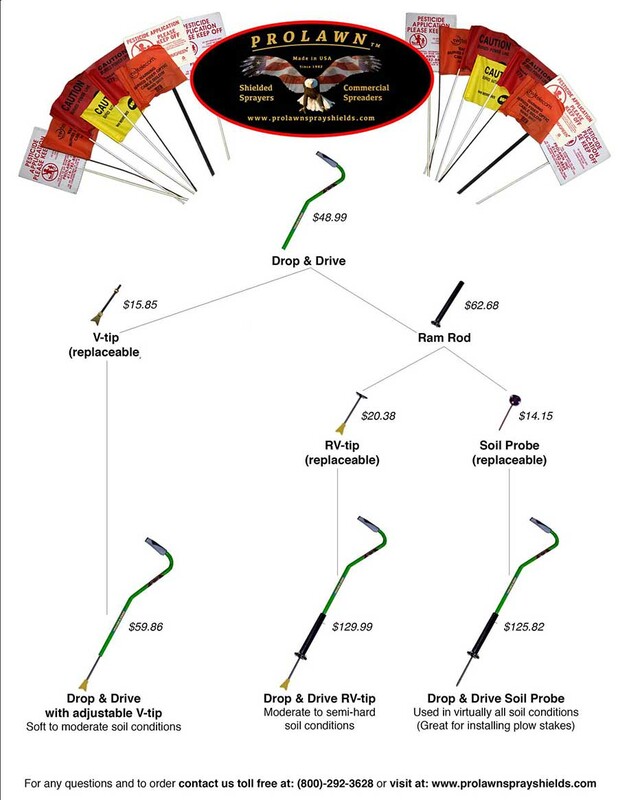 For more information, view our photo gallery to see which options best fit your needs and check out our YouTube Video displaying how our Drop & Drive product line works.